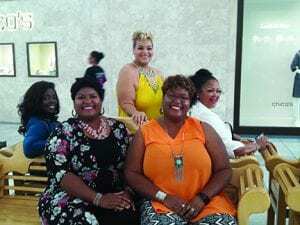 NASHVILLE, TN — Last Saturday, plus-size retailer Ashley Stewart was in Nashville at The Mall at Greenhills hosting their event ‘Finding Ashley Stewart 2017’ national search tour. This event was the seventh and final stop the tour made across the country before the grand finale festivities in New York City next month. 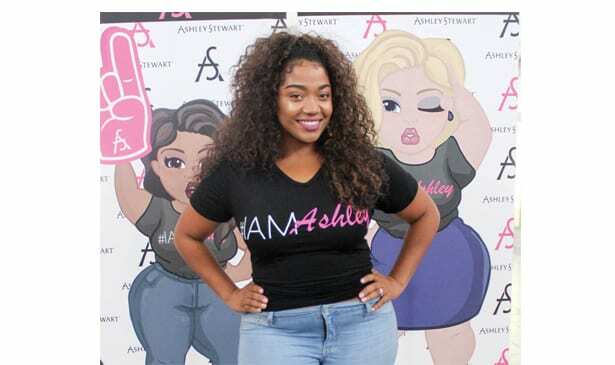 The Nashville event was part of Ashley Stewart’s year-long, nationwide event tour to honor, empower and engage with women across America, while searching to find their 2017 brand influencer amongst real women across the country. In the end, local Finding Ashley Stewart judges, Jerval Watson, Nashville City Hall Rep (Diversity division) and Patricia Leonard, Dress for Success – Advisory Committee, selected Nashville winners Saaneah Jamison and Theresa (Larsen) Royals. The two Nashville winners, along with the other regional and social media winners of the contest, will now have the chance to be selected as one of five finalists that will win a trip to New York City to compete for the coveted title of “Ashley Stewart 2017.” Next month’s Big Apple grand finale will feature several celebrity performers, which includes R&B hit group En Vogue. The national award will be given to the woman who distinctively embodies and exudes the confidence, strength and fierceness that has become synonymous with Ashley Stewart. In addition to the coveted title, the national winner will also receive a new Ashley Stewart wardrobe, sponsor prizes, makeover, cash prize and participation in features across Ashley Stewart media platforms for one year.